With the diagnosis of autism spectrum disorder (ASD) on the rise—now affecting one in every 59 school-age children, according to estimates from the U.S. Centers for Disease Control and Prevention (CDC) — identifying effective, integrative remedies is more important than ever. “You may have five kids with ASD that are very different in how they present and what contributes to the disorder, so one size and one treatment does not fit all,” says Kenneth A. Bock, M.D., of Bock Integrative Medicine, in Red Hook, New York, author of Healing the New Childhood Epidemics: Autism, ADHD, Asthma, and Allergies. The Groundbreaking Program for the 4-A Disorders. ASD encompasses a range of disorders characterized by repetitive behaviors and impaired social skills and communication. Although it includes four distinct conditions, one of its hallmarks is how much it varies from person to person and how different the restrictions can be for each child. Children with ASD frequently experience gut issues such as constipation or diarrhea; a review from the International Society for Autism Research indicated that nearly 47 percent of autistic children exhibited at least one gastrointestinal (GI) symptom. And, the more severe a child’s GI symptoms, the more severe the autism, according to a study in BMC Gastroenterology. Not coincidentally, research is finding that these digestive conditions and the accompanying ASD may be connected to the gut microbiome, an ecosystem of trillions of microbes living in the digestive tract. 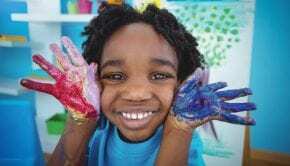 It turns out that kids with ASD have less bacterial diversity in their guts than non-autistic kids, along with an imbalance between good and bad bacteria. This dysbiosis of the gut flora leads to problems with improper immune function, inflammation and a leaky gut barrier. It all comes down to the gut-brain axis, by which the gut and brain communicate with each other. When the microbiome isn’t balanced, not only is this vital communication system broken, but toxins and pro-inflammatory molecules that trigger ASD-like behaviors can cross the blood-brain barrier. Experts say prioritizing gut health can relieve both GI issues and ASD symptoms. For children with ASD, reinforcing the intestinal barrier and restoring balance to the microbiome can have profound health effects. “With dysbiosis and an overly permeable gut, inflammatory molecules can leak into the circulatory system, travel up to the brain and cross the blood-brain barrier, causing inflammation. A lot of it originates in the gut, so when we treat the gut, we can restore microbial balance, diversity and resilience to the ecosystem—and in doing so, decrease inflammation, help restore the appropriate blood-brain barrier and bring the brain back into more of a balance,” advises Bock. 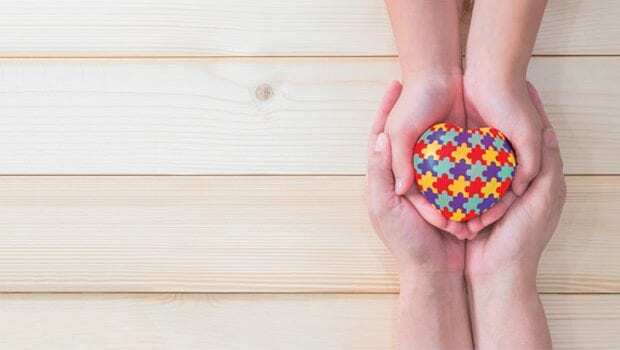 Before embarking on a treatment plan, Bock emphasizes the importance of working with a qualified healthcare practitioner to determine where a child fits in terms of subtypes of ASD, along with any other individual contributing factors. Although autism spectrum disorder is complex, using holistic strategies that address the whole body can make all the difference. “I see thousands of kids on the spectrum, and the vast majority of them improve with an integrative approach to treatment, and more and more kids are actually recovering,” notes Bock.